Lyn-z-4Jesus: 1 Month, 3 Baby Girls! 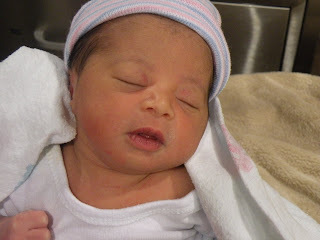 This is Baby Kelsey Evans. She is the daughter of our friends Jonathan & Kanika. I went to Baylor with them & can't believe they have a baby now! 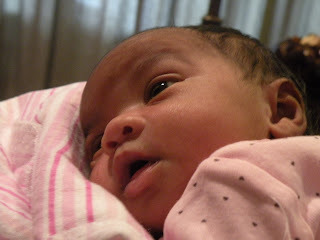 Baby Noelle Nelson--This is my college roomie, Michelle's 2nd little girl. Her first looks just like her husband, but this baby looks like Michelle! This is niece #5 in the Bolton family! Sweet baby Dayna Bolton was only 5lbs 7oz when she was born. She was the tiniest baby I'd ever seen! She's so sweet & beautiful! Yeah for new little babies. Just give me a couple of weeks and I will have a little boy to throw in the mix! All those little blessings from God! Each one is so beautiful.